Now in its fifth edition, Europe Today presents unrivaled coverage of developments in major European countries and across the region. Thoroughly revised and updated-with a new introduction and an added chapter on Spain-this is the only work that offers a sustained and unified set of both country case studies and thematic chapters on the European Union. Written by leading scholars from Europe and North America, the book builds on a foundation of basic political information and explanation to develop distinctive and thought-provoking analyses of current debates. 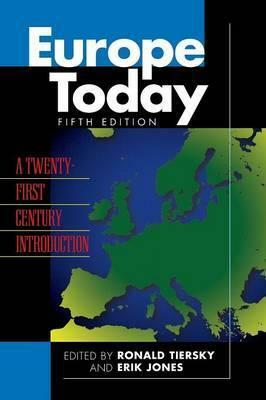 Informative and engaging, this comprehensive text will lead readers toward a coherent and informed view of Europe today.